Looking for a commercial electrician in Nowra for your business? Look no further than Walkers Electrical Solutions. A lot of people don’t realise that not all electricians are commercial electricians, so it’s important to book the right electrician for the job. Commercial electricians receive training in a much wider range of work and thus, can take on much more work. Keep reading to find out more about commercial electricians and the services they offer. 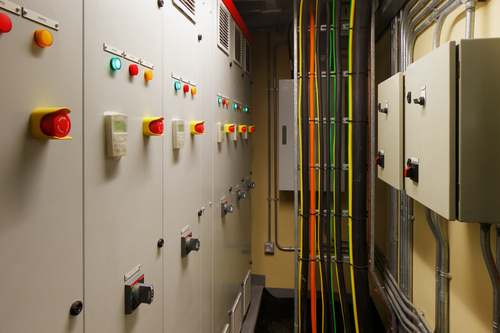 Put simply, commercial electricians, install and maintain electrical systems for businesses. In other words, they work in commercial buildings and must be able to offer a comprehensive range of services to meet the needs of business owners. A reputable commercial electrician will have a high level of responsiveness and be committed to a high standard of Health & Safety practises. Business owners want their premises to be compliant, so a good commercial electrician will not proceed with any electrical work without ensuring the site is safe. If you have a question about any of our services, get in touch today. We are confident you won’t find a better commercial electrician in Nowra!